A visitor might stumble upon a strange sight in Laguna, Brazil, if they went down to the shore. 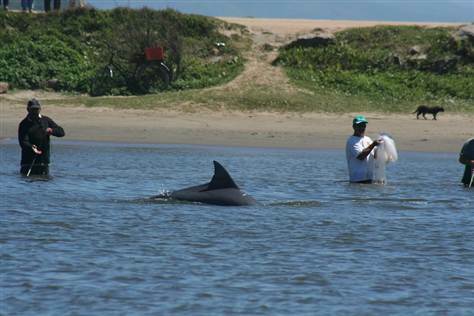 Here, the local fishermen rely on dolphins to help them with their yearly fish catch. New research has found that just one local group of about 20 dolphins works with the fishermen, while the other local dolphins don’t cooperate, finding other sources of food. The researchers aren’t sure what separates these groups. Scientists had known that dolphins work together to herd groups of mullet, a fish that’s an important source of food for local fishermen, toward a line of fishermen in boats or knee-deep water. Then the dolphins signal with specialized head or tail slaps when and where the fishermen should throw their nets. The cooperation is helpful to both parties, researchers said. The two wouldn’t survive without each other. The researchers watched the dolphins of Laguna, identifying individuals by their appearance. They documented which animals spent time together, and which ones participated in the fishing. They were able to reconstruct the social structure of 35 of the population’s 55 dolphins from this data, which included 15 of the cooperative dolphins. They identified three distinct social networks within the Laguna dolphins, with one group made up entirely of the fishermen-cooperating dolphins. This cooperation seems to be a learned or inherited behavioral trait, since there’s nothing in the environment stopping other dolphins from engaging in it. 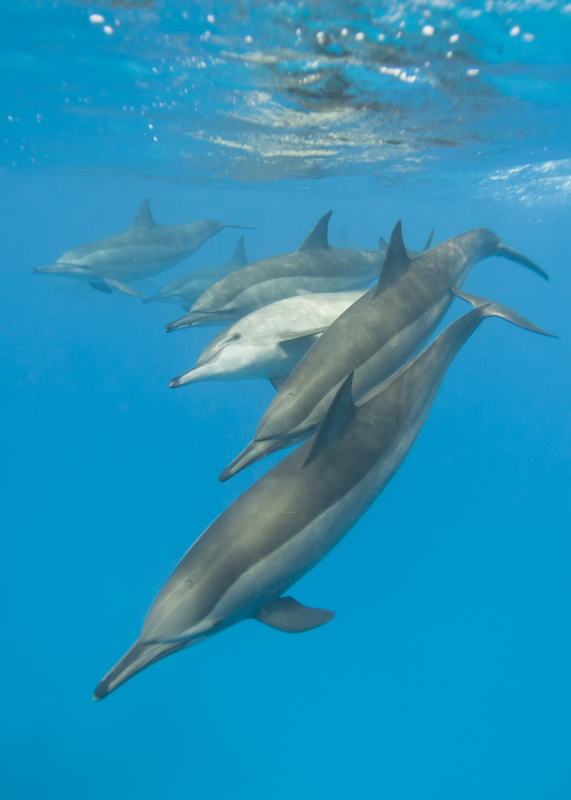 The cooperation behaviormay be passed down from mother dolphin to her calves through social learning. This is how the trait is propagated in the human half of the duo: Elders in the community teach the younger fishermen how to work with the dolphins. “We are talking about a small subgroup of dolphins ([probably] about 20) supporting over 200 families with no other income,” Daura-Jorge said. “The fish provided from the cooperation with dolphins has an important economic and social value that has to be considered,” and should be conserved. “Essentially, if we lose the cooperative dolphins, we lose this unique traditional way of life and vice versa,” Daura-Jorge said. The study was published in the May 2 issue of the journal Biology Letters.